While most clivias are grown as interesting houseplants, in suitable locations they can be grown as outdoor container plants. However, they must be brought indoors for overwintering. 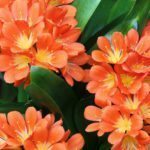 The attraction to clivia plants can be found in their stunning blooms, which vary in color from pale orange to red. The fragrant, trumpet-like flowers are similar to that of amaryllis but smaller. Unlike the amaryllis, clivias retain their foliage year round. Indoor clivias prefer bright, indirect light while those grown outdoors need shade. They also like rich, well-draining potting mix or soilless mix. 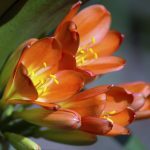 Clivia is most active from spring through fall, at which time the plant should receive daytime temperatures of 70 F. (21 C.) or more and no less than 50 F. (10 C.) at night. Following a dry rest period in fall, clivias usually begin blooming in winter—around February give or take. Without this period of rest, the plant will continue to put out foliage rather than flowers. These plants also bloom better when slightly potbound. While clivia doesn’t mind some neglect, clivia care is still important. 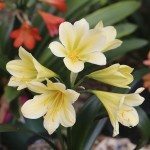 In fact, caring for clivia plant is relatively simple. 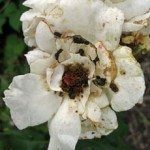 The soil should be kept somewhat moist but allowed to dry slightly between deep waterings. They should be fertilized once a month as well. In late fall (about October), move outdoor plants inside for their overwintering rest period, which should last about 12-14 weeks. During this time, withhold water and fertilizer, giving plants just enough to keep their foliage hydrated. Following their rest period, you can gradually resume normal watering and feeding practices. Within a month or so, you should also begin to see flower buds. Once the threat of frost is over, clivia can be returned to a shady location outdoors if desired. 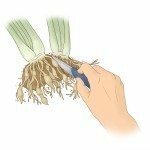 Clivias don’t appreciate root disturbances; however, repotting can be done every three to five years in spring once the flowers have faded. Although difficult to propagate, division is the preferred method. 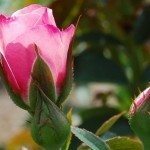 While you can propagate from seed, it generally takes about three to five years before plants will bloom whereas offshoots take about one or two years.